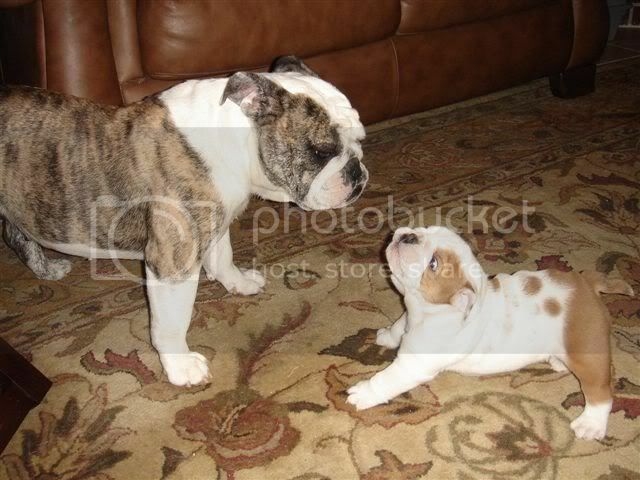 In the following article, I am going to do my best best describe bulldog colors using photographs. "Color of Coat -- The color of coat should be uniform, pure of its kind and brilliant. The various colors found in the breed are to be preferred in the following order:"
6. inferior qualities of all the foregoing. However, you should not let this particular standard of color deter you from starting your bulldog in dog shows/conformation. There are many champions that are not red brindle If you and your bully have what it takes, go for it! 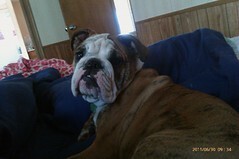 Fawn: Fawn has to be the most confusing color to bulldog owners! Fawn has a soft glow to it, and it comes in many variations and shades. "A perfect piebald is preferable to a muddy brindle or defective solid color. colors. In brindles and solid colors a small white patch on the chest is not considered detrimental. In piebalds the color patches should be well-defined, of pure color and symmetrically distributed." 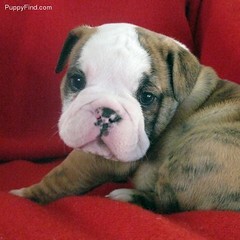 Many bulldogs who are white have freckles that are super cute! There are many shades of Brindle, but the most common is red brindle, pictured below. 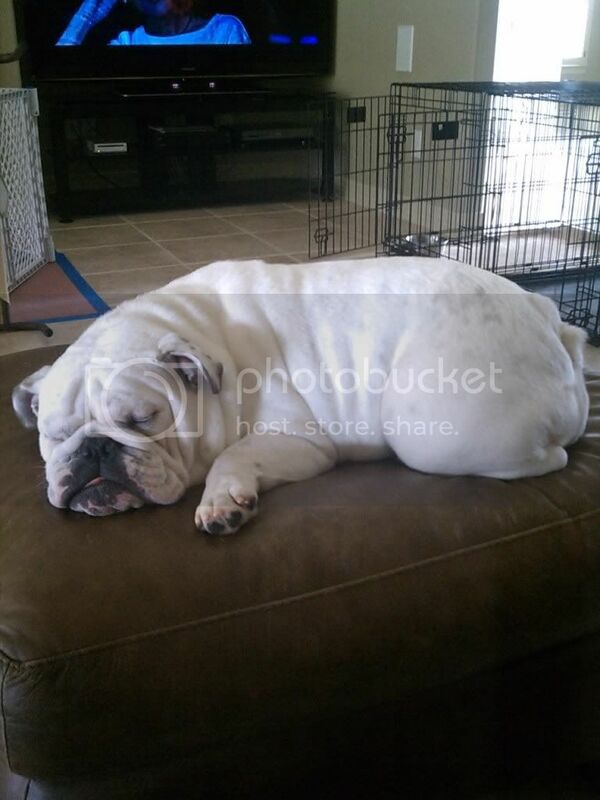 please contact @Luvin My Bullie. Last seen in Tuscumbia, Alabama. 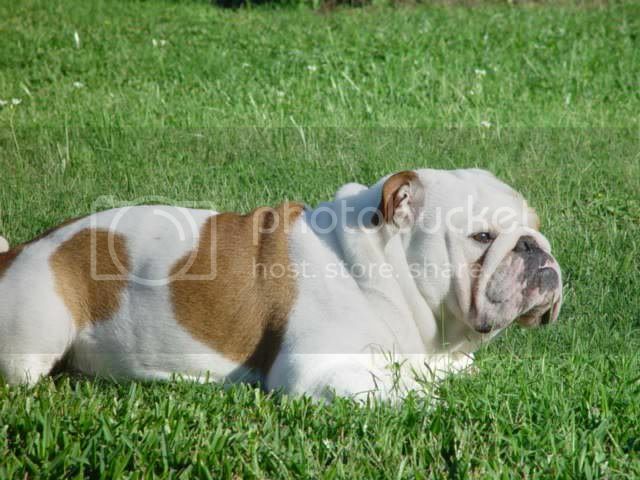 I do hope you enjoyed this article for the visual beauty of the bulldogs various coat and colors. patterns that bulldogs can be. Such a truly wonderful and unique breed! 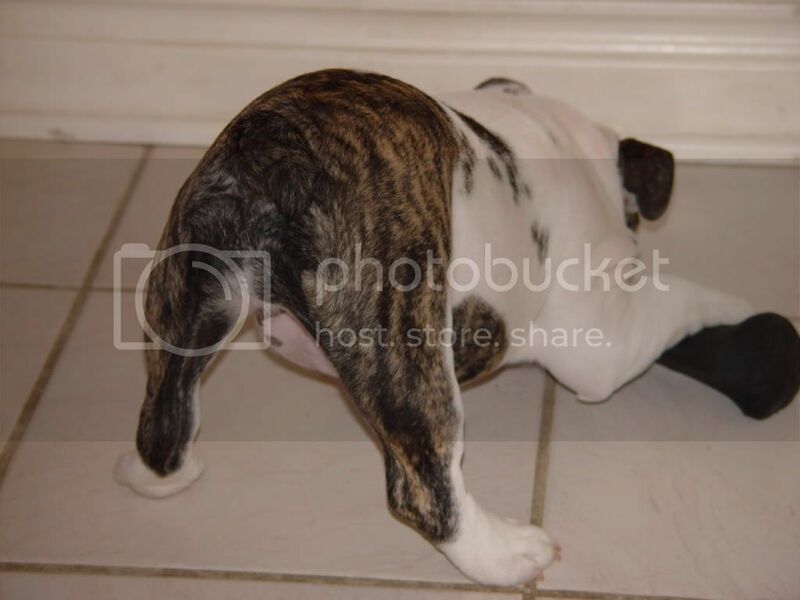 To make this article even funner, lets all post pictures of our beautiful bulldogs in this topic so that people who read it can really see what a wonderful variety of bulldog colors and markings there is! Great article...brindle was not my first choice in the color of my bully I really wanted a red fawn but my handsome boy is just gorgeous and I love his color pattern so much! My son's female Karly is red fawn and lovely too! Thanks for sharing! Aww, my Saban! Not a day passes, that I do not wonder where and how he is. I can only still pray that he is being taken care of. 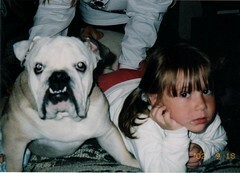 He was an amazing boy! OK so I am still confused about red vs red fawn. Dozers akc papers listed him as red but the vet said fawn or red fawn. Whatever it was is my favorite btw Ty I think is a red fawn but heck idk . 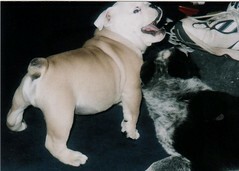 I love Brindle Bullies, but that may be because my baby boy made me a bit partial. @Lucy-licious! just love that pic of Lucy, she's so pretty. So nice to see my pretty Lucy included in the pictures. Thank you! I love all of the Bullies and their beautiful colors--all shapes and sizes. Great article. Thanks for sharing! I love all bully colors. But I think Fawn and Red Brindle are my favorites. I always wanted a reverse fawn brindle, but my puppy is light fawn and I love him, he gets great remarks on his color. Perfect!!!! 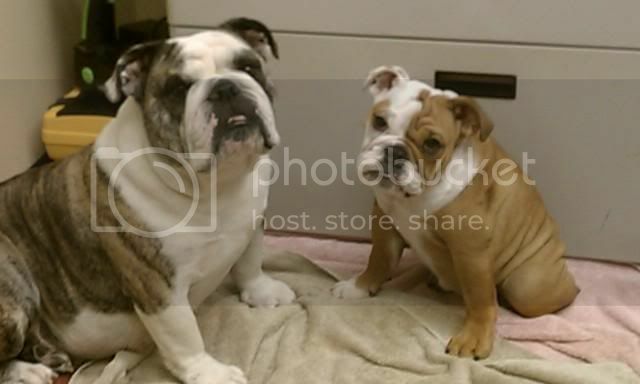 What great looking bullies!